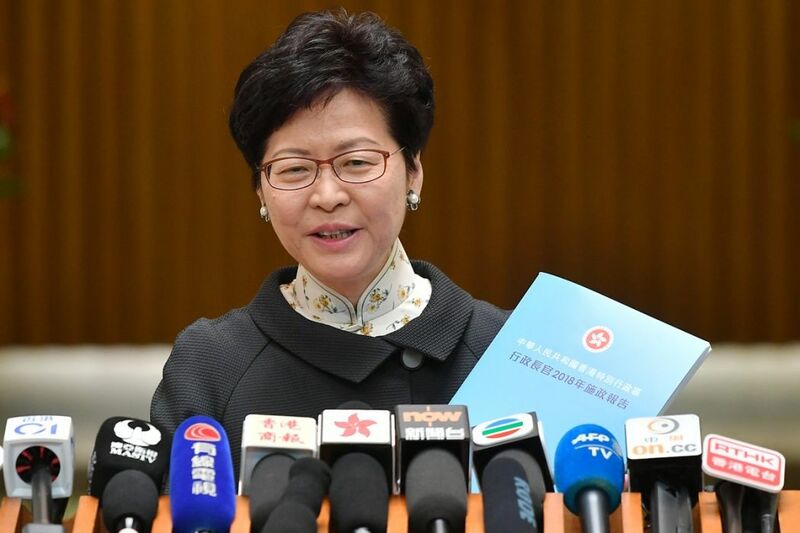 Chief Executive Carrie Lam has said that the government will “fearlessly take action” against independence calls and will listen to views on implementing a national security law. 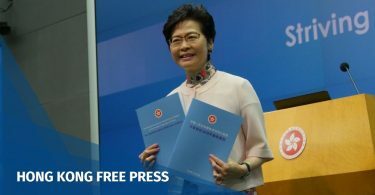 Lam mentioned the ban of the pro-independence Hong Kong National Party citing the Societies Ordinance, saying that it represented “strong testimony” to the government’s policy. Democratic Party lawmaker James To said Lam’s remarks on using existing laws to handle national security matters set off a “very worrying trend,” putting Hong Kong on the radar amid China’s ongoing trade war with the US. “This will bring real and imminent danger to Hong Kong’s status and special privilege under the Hong Kong Policy Act of America. It will also drag Hong Kong into the core of the dispute of the two countries,” he said. The US has criticised the banning of the Hong Kong National Party, saying that it was inconsistent with the core freedoms promised under the Basic Law. Leaders of the Democratic Party and the Civic Party have said that the national security law should only be enacted when there is progress in the political system towards universal suffrage. “She only used several lines to deal with our demand for universal suffrage – it shows that she does not intend to do anything. I don’t see any actions from the chief executive to create a better environment to move the political system forward,” Civic Party leader Alvin Yeung said. 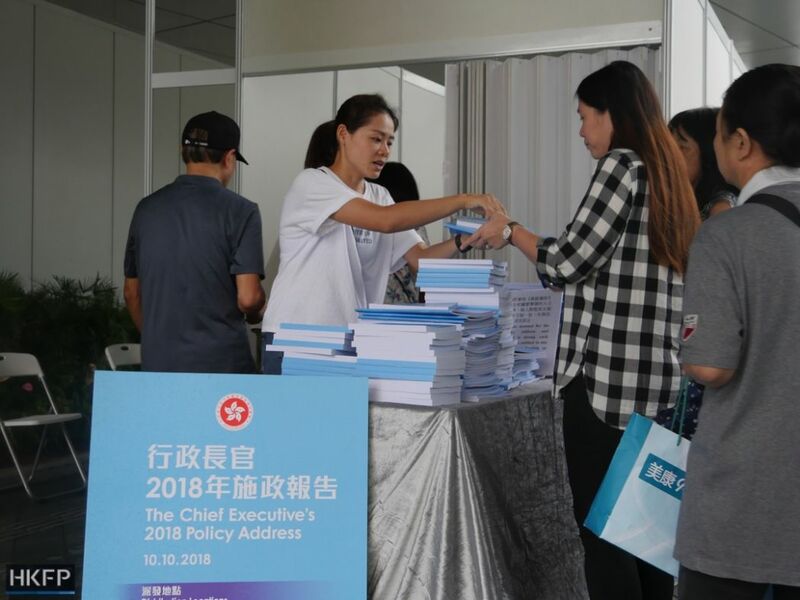 Government staff give out copies of the 2018 Policy Address. 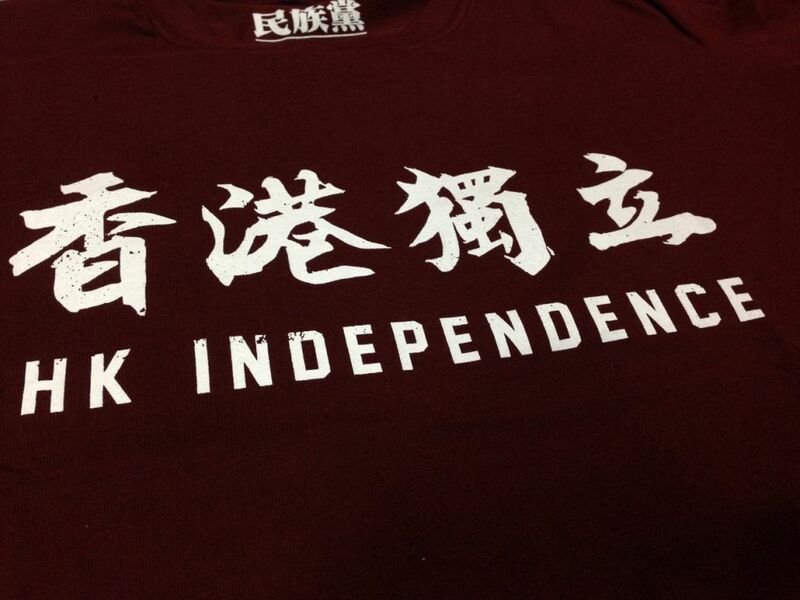 Photo: Holmes Chan/HKFP. 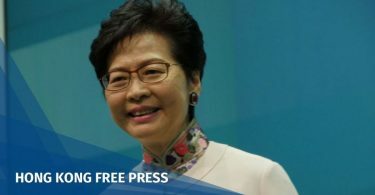 New People’s Party lawmaker Regina Ip said she did not believe Lam’s remarks changed the government’s stance on Article 23 in any fundamental manner. “But naturally, I think the chief executive signalled that she has a duty to prepare the ground, and so [she] will take appropriate measures to strengthen national awareness,” she said. Ip said the national security law was “not a monster” and Lam would have adequate wisdom in choosing when will be the best timing to enact the law.